2018 Financial HighlightsTotal revenues of hempSMART™ products were $252,135 for the year ended Dec. 31, 2018, as compared to $26,830 from the prior year, representing a significant 840% increase year over year.Net loss from operations decreased by 82% from $21,262,798 for the year ended Dec. 31, 2017, to $3,814,949 from the prior year.Gross profit for 2018 increased to $170,885, a 68% gross margin, compared to a gross margin of $12,536 for 2017, a 47% gross margin.SG&A expenses, including non-cash items and one-time transactional expenses, for 2018 decreased substantially by $17,292,265, or 81%, to $3,980,493, compared to $21,272,758 for the prior year.For the year ended Dec. 31, 2018, the Company realized the following other one-time income items: Gain cancellation of debt of $1,500,000 and a gain of $560,000 from the change in value of its trading securities investment in Global Payout. The Company also settled a debt that resulted in a gain of $94,933.Total assets increased by 70% from $1,129,958 in 2017 to $1,919,781 in 2018. This increase is due primarily to the increase in value of the Company’s investment in Global Payout’s stock, which is accounted for using the trading security method of accounting as well as an increase in cash and inventory.Total liabilities decreased by 56% from $11,447,710 for 2017 to $5,053,887 for 2018. This decrease was largely due to the decrease in liabilities related to warrants and joint venture obligations.Cash used by operating activities for 2018 was $2,385,349, compared to cash used for operating activities of $895,743 for 2017. Cash used by investing was $686,458, compared to $1,176,919 for 2017. Cash provided by financing activities for 2018 was $3,181,553, compared to $2,175,007 for 2017.“I could not be prouder of the growth and accomplishments our company and team members achieved in 2018,” said Don Steinberg, founder, chairman and CEO of Marijuana Company of America. 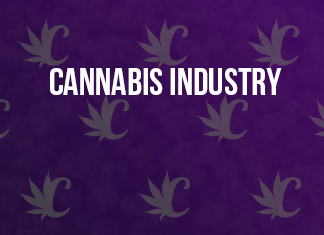 “Our industry experienced unprecedented legislative developments, including Canada going full adult use and the Farm Bill passing in the U.S. We are now better positioned than ever to be a leader in the cannabis industry. Not only did we expand our team, but we also launched our hempSMART sales in Europe. We expect to complete and announce our acquisition of a California marijuana manufacturing and distribution license shortly. Upon completion, this acquisition will allow us to capture additional market share, implementing a fully integrated cannabis model that includes cultivation of hemp, distribution and manufacturing of cannabis, and the retail delivery of our new Viva Buds brand.”Jesus Quintero, CFO of Marijuana Company of America, said, “We are very pleased with the strong financial results of 2018. Our financial results were better than many other cannabis public companies in our sector, which are still in the development stage and not yet producing revenue. Marijuana Company of America, through our hempSMART brand, has experienced a dramatic increase in sales, most of which occurred in fourth quarter. This trend is continuing to grow in first and second quarter of 2019. We think our shareholders are going to be very satisfied with the execution of our highly aggressive growth and restructuring plans in 2019.”Further details about the Company’s financial results are available in its annual report on Form 10K, which will be available in the investor relations section of the Company’s website at www.marijuanacompanyofamerica.com.About Marijuana Company of America, Inc.